Classic Sheet Music Cabinet - FREE S&H! Classic Sheet Music Cabinet - FREE S&H! is rated 3.50 out of 5 based on 2 ratings. Made in the USA. Organize your sheet music in one handsome place. 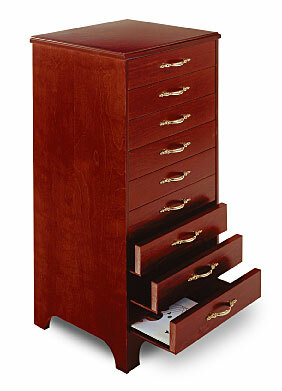 Shown in Mahogany, our Sheet Music Cabinet measures 32.25" x 14.25" x 16.25" and has nine side-less drawers that provide easy access to your music. Each drawer comes with brass plated handles. 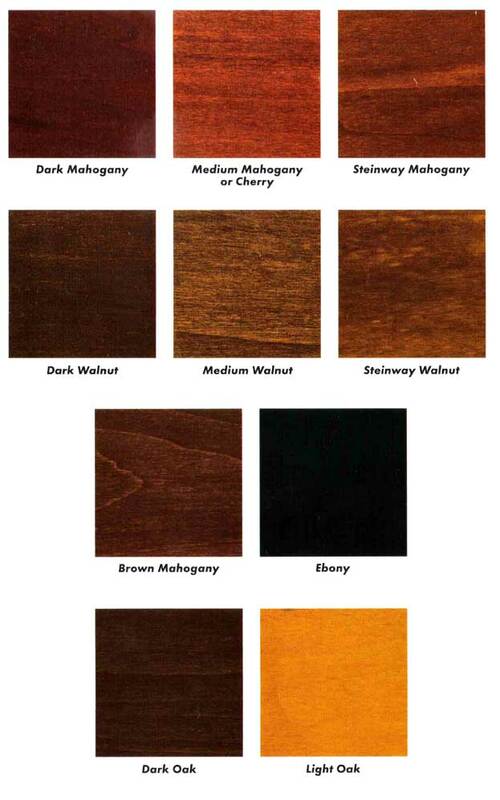 Comes standard in a satin Mahogany, Walnut, Black or Hi-Gloss Black (add $100 $70 for Hi-Gloss Black) or you can custom order a different finish! Please click here for our custom finish colors. Please note that custom colored cabinets take approximately 4 weeks to ship. Free Shipping - UPS Ground anywhere in the continental U.S.A.!